You may now add Spicy Fish Salad (P160) to the very limited list of salads that I willingly eat. Delicious deep fried cutlets of breaded fish are placed on top a bed of shredded cabbage, with a healthy drizzling of Eri Curry's trademark Spicy Salad Dressing. The medley of the dressing and the cabbage made the salad feel more like a Japanese style coleslaw, which I really enjoyed. 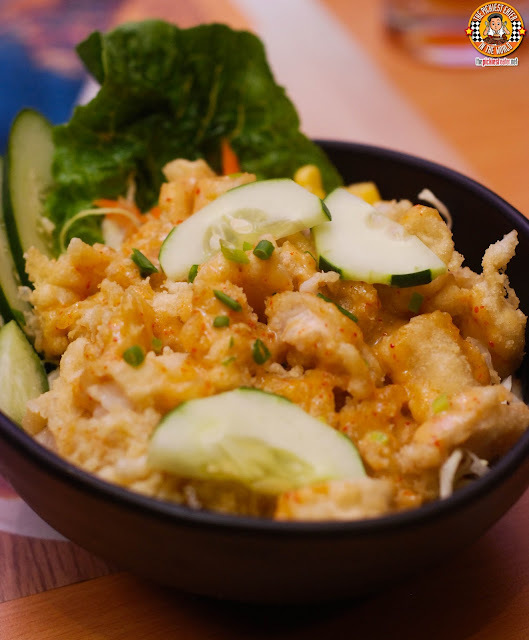 Though Rina wasn't with me, she was happy to know that there is a Spicy Ebi Salad (P190), which is essentially the same as the Spicy Fish Salad, except with bits of juicy Ebi Tempura replacing the fish. 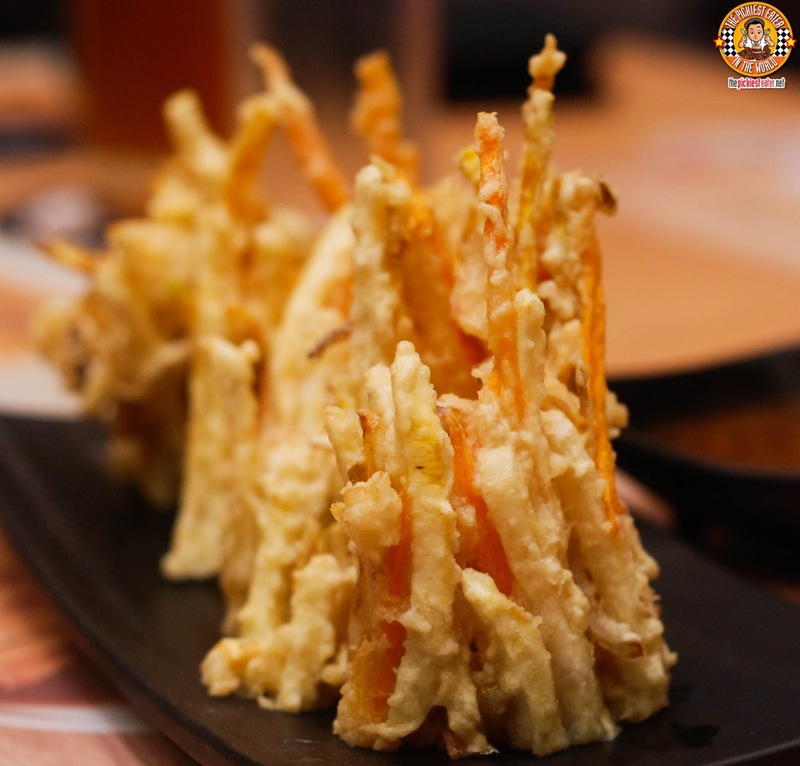 You wouldn't expect me to be a fan of Vegetable Tempura, but I actually really like the stuff. I'm guessing its mainly because I'm a fan of anything deep fried. Shredded strips of Sweet Potato, Carrots, and Green Bell Peppers made Eri Curry's Kakiage Tempura (P140) one of my favorites! Once again, I've never been a fan of Tofu, however I was happy I made an exception, and tried Eri Curry's new Tofu Steak (P160). 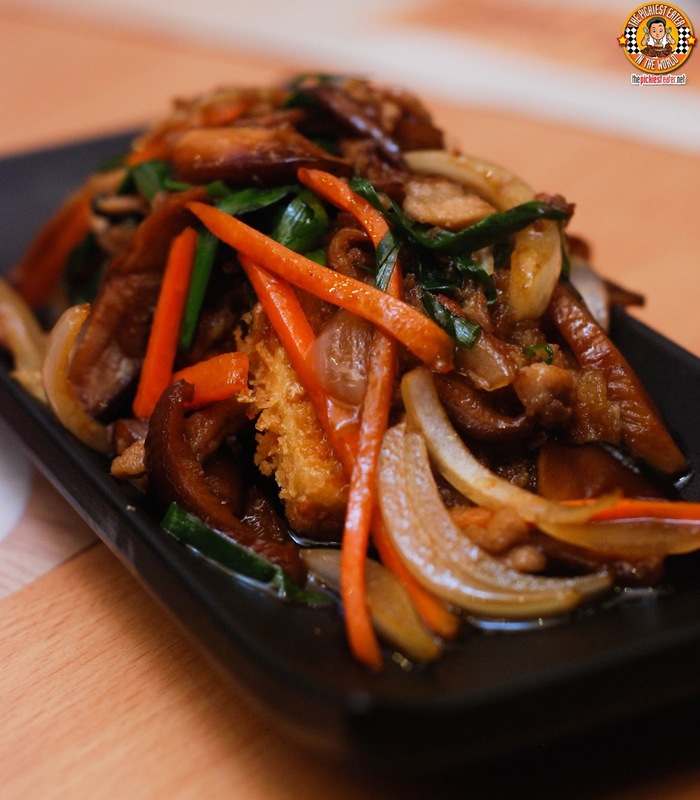 Pillowy soft pieces of tofu are breaded and deep fried, then sauteed with a medley of vegetables, and stir fried with Eri Curry's Special Steak Sauce. 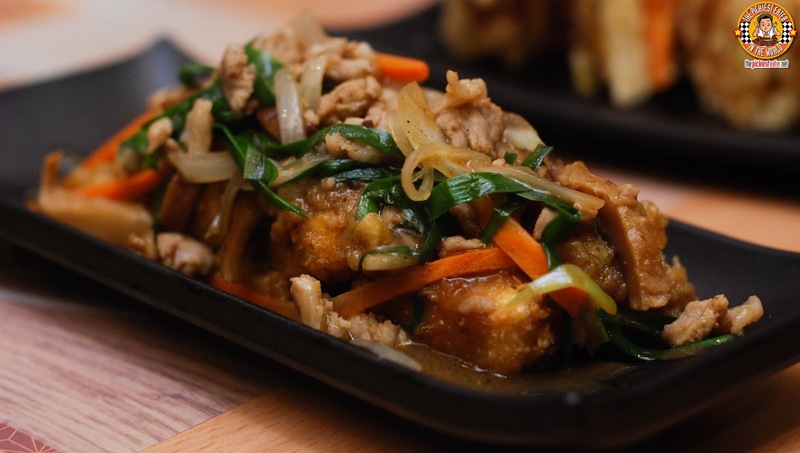 What happens when the succulent pieces of tofu given the Eri Curry treatment? 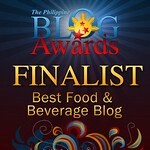 Tofu Curry (P160), that's what! 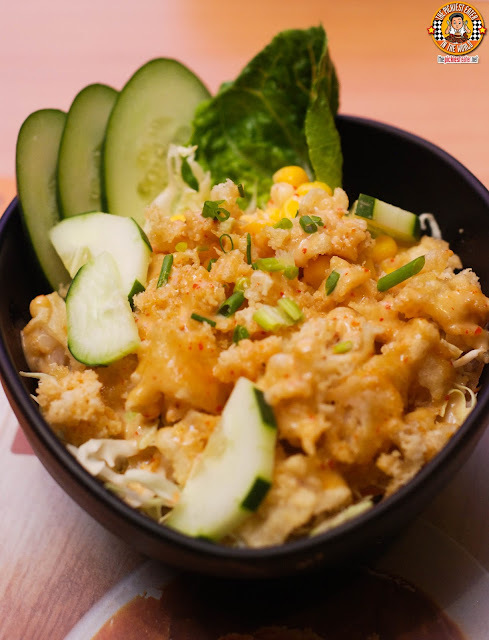 The stir fried Tofu and vegetable mixture is doused in the signature Curry Sauce that has helped put Eri Curry on the map. Not only has Eri Curry gotten me to eat a salad, but now I'm eating Tofu as well (WTH?!)! Though I really enjoyed Eri Curry's curry dishes with rice, I won't deny that I've wonder how the curry sauce would work as a noodle dish. Well thankfully, the brilliant minds behind the kitchen must have heard my thoughts, because they came out with two dishes that showcase the versatility of the curry! 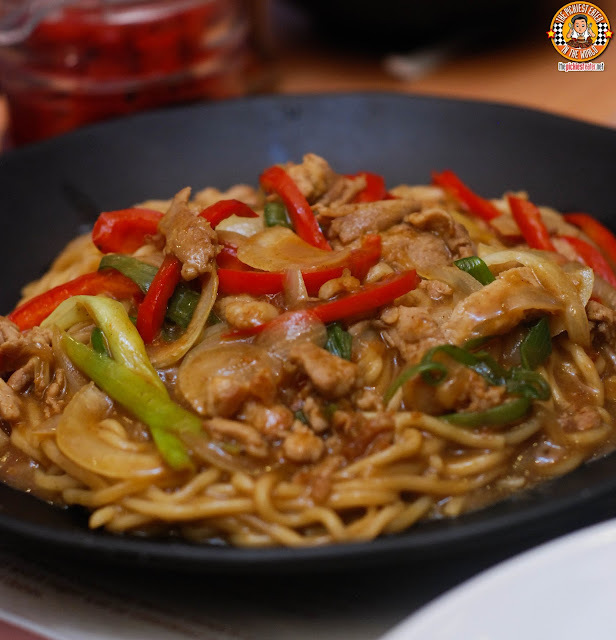 The Butaniku Kare Soba (P240) is a delicious Soba noodle dish that features mouthwatering strips of Porkloin stir fried into an amazing, rich, curry sauce. If you are the type that prefers Beef over pork, then you may opt for the Gyuniku Kare Soba (P220), which is still curry style noodles, but is instead peppered with thin strips of tender beef. Admittedly, ever since I tried Yabu, my standards for Katsudon has been raised, and I'm happy to say that Eri Curry's version passes those standards. 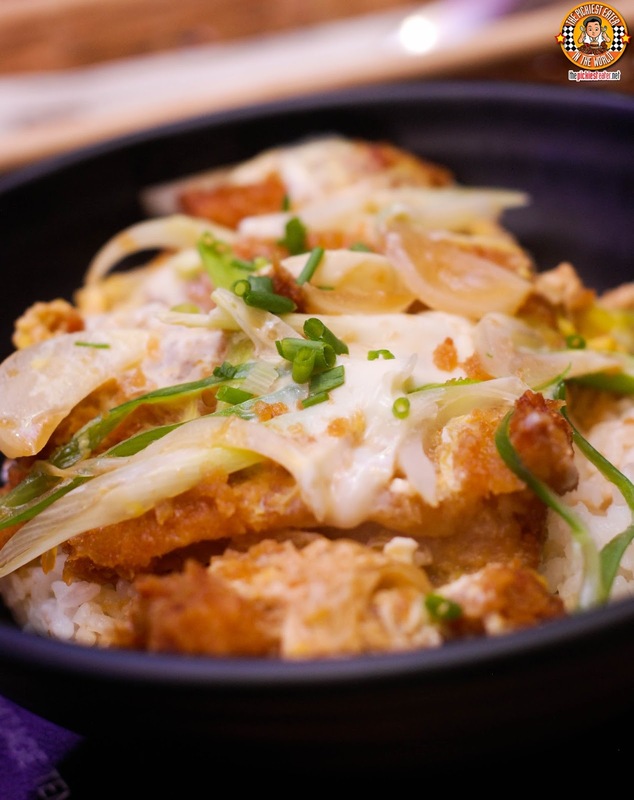 Eri Curry's Katsudon (P320). Though the cut of pork wasn't as tender as the popular katsu giant, I must say that it was still very soft in its own right. The blend of the Fried Egg and Special Steak Sauce over the crunchy pork cutlet was absolutely delicious. Here's something really (stupid) funny. 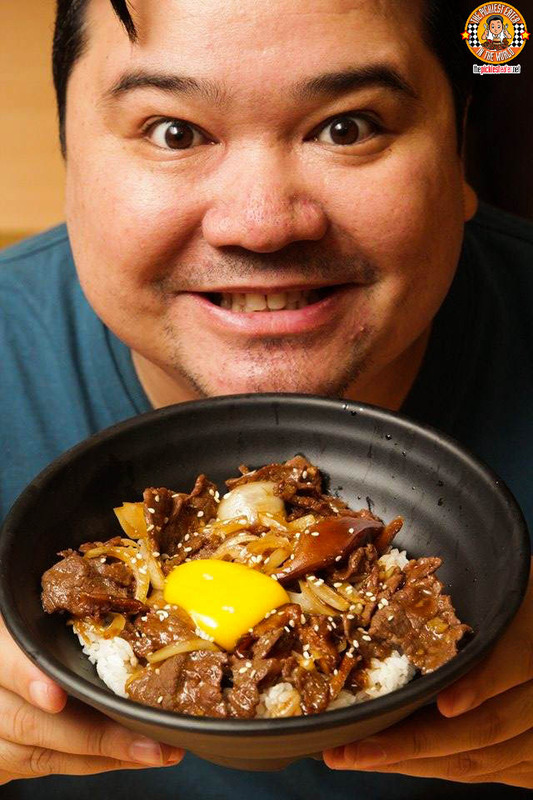 I was actually so excited to dig into the Gyudon (P300), that I totally forgot to take a photo of it with my DSLR. I remembered to Instagram it and Snapchat it, but for some reason it slipped my mind to take pictures for my blog! Believe me, if you tried the thin, slices of beef mixed with a raw egg and Gyudon sauce over a bed of steaming hot rice, you'd probably lose your memory too. 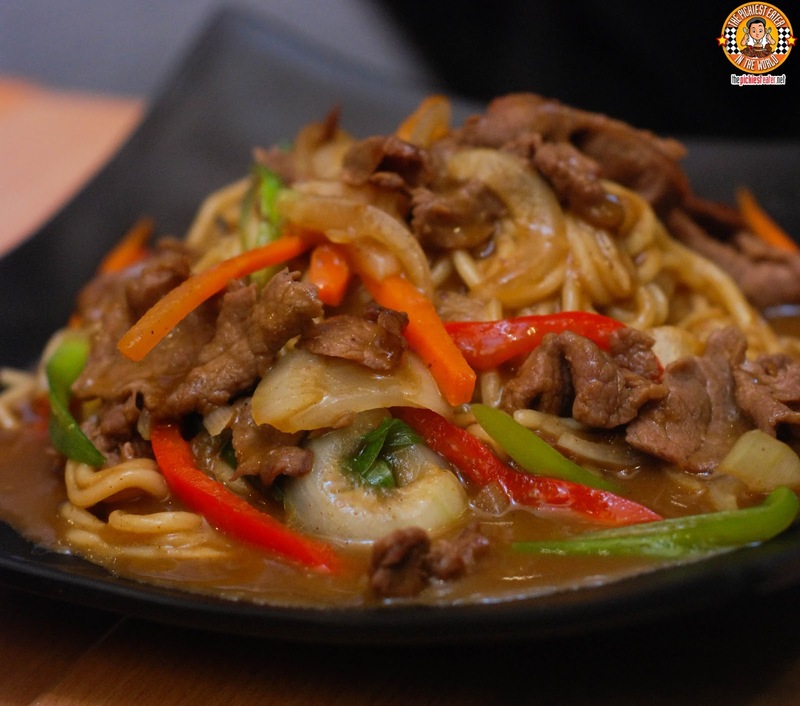 The raw egg cooks in to the hot rice, and melding its creaminess into the savory goodness of the beef, onions and gyudon sauce. If this isn't enough to get you to run to Eri Curry on June 12 - 13, 2015, I don't know what is! !